Views From A Smoky Mountain: Sock It To Ya! Been knitting a bit lately, here are the socks I made for my dear sister. Can't wait to see you this weekend Kel! Cute, cute, cute....love the colors! Oh wow! I like the colors of these socks..can I? Happy New Year Colleen! Now, I could really get into those socks! :) Too cut. Very cute!!! Sorry about your water woes :-(. 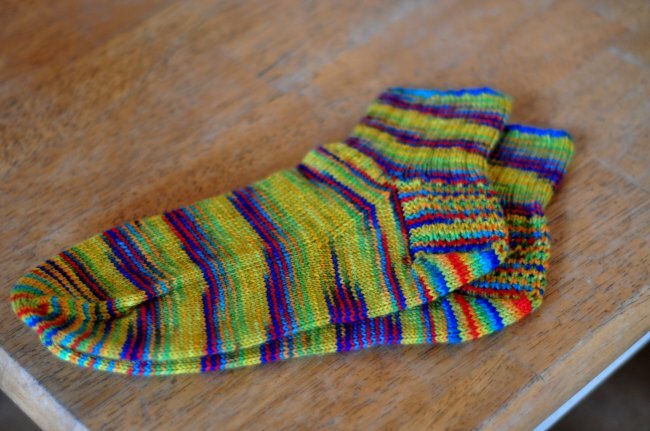 These are seriously gorgeous socks Colleen! Wow! Those are prettier than many of the socks I've seen for sale in the store. And well made, too! I love 'em! They look comfy as well as cute. Nicely done!